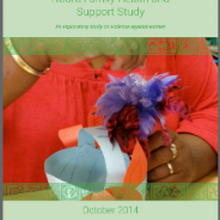 The study aimed to obtain reliable information on violence against women in Nauru. Though its findings derived from a non-representative sample of women in select districts, the study provides a preliminary understanding around violence against women in the country, its characteristics, and consequences. Our Global Research Manager, Carlued Leon, provided technical support to the closing stage of the study and co-authored the final study report.